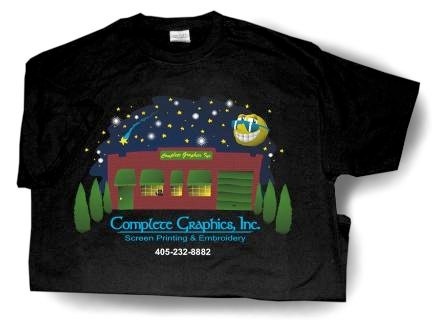 Tee Shirts — Complete Graphics, Inc.
We specialize in creating custom graphics for all of your screen-printing needs. Be it a corporate event, or a summer family reunion, we will work with you to achieve your desired results. Call us today for your free custom quote and find out how easy and quick ordering from Complete Graphics can be.Look through our online catalog and choose from hundreds of available colors and styles. Need 2 or 3 shirts to give as gifts? How about a dozen shirts for a small family reunion or event? We have you covered. Call or email today to place your order.